For over 20 years, Taurus Elite Commercial Roof Systems has been serving Austin and its surrounding communities. If you have a metal roof on your commercial property and you need an experienced commercial metal roof repair contractor, we can help you. Metal roofs are pretty easy to clean and maintain. But, it can be dented, scratched or dulled fairly easily. You’ll need to routinely re-coat it every few years, if its painted, and it will also chip. The main culprits for leaking would be the screws, seams and joints, even though they are usually watertight. If the roof wasn’t installed correctly, many times the cause of leaking will be water condensing under the surface due to poor ventilation. You’ll need a trusted, professional commercial roofing contractor with experience with metal roofs to handle any significant repairs. There are unique construction features and details with metal roofing. an example being their expanding and contracting over time, so you’ll need a company that has experience and understands what to look for. Even though metal roofing has a long lifespan and doesn’t have extensive repair requirements, you’ll still need to put a regular maintenance schedule in place. 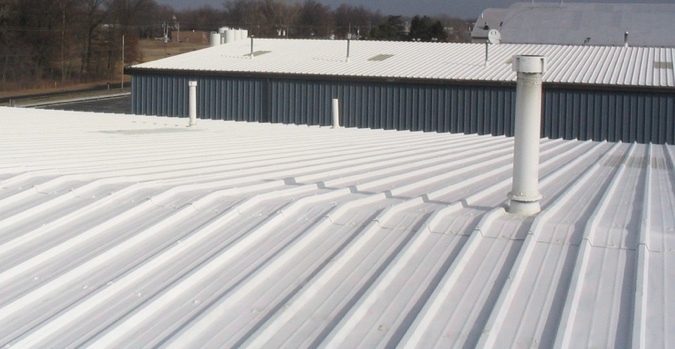 Find and Employ a Commercial Metal Roof Contractor with Experience. Maintaining a roof, if not done with the proper equipment, can be dangerous. You need someone that has the proper tools, equipment and experience to perform the necessary functions with safety and accident-free. Inspect Your Roof on a Regular Schedule. You’ll need the professional roofing company you employ to check for decay and leaking as the elements weaken your roof’s protective materials. If you allow leaks and decay to happen without repair, they will give you a much more expensive problem – the need to replace instead of repairing. Your contractor will work with you to come up with the best solutions to fit your schedule and budget. Keep Tree Branches Trimmed and Away From the Roof. The damage that falling tree branches can wreak on your metal roof can be extensive. Another issue from trees is the water that leaves will drop, along with organic material, onto your metal roof. The combination of moisture and organic materials will cause corrosion and leaks. Therefore, you should clear them from over your property by bringing in a trusted tree trimming company. Clear Your Drainage system and Keep it That Way. Along the edge of your metal roof, it can be damaged by obstructed or clogged drains. Get rid of any build up of organic materials and anything else blocking your drainage system routinely. This sin’t something you should take on yourself – again, hire a professional roofing contractor to take care of this. 1 – You may have chosen a roof coating during your last repair that could be causing your issues. When choosing a product for this, make sure its a silicone based product and not just acrylic. It won’t degrade, chalk, fade or haze, needs less reinforcement and won’t wash off as easily. It’s superior to acrylic products and works well for metal roof repair. 2 – Eco-friendliness is another reason to use silicone products. It lowers its environmental impact by having a longer lifespan and a lower VOC value. You’ll need to check various products for comparison purposes with whether they are approved by local assurance programs and if they are Energy Star compliant. 3 – Could be a good time to increase your property’s insulation. One benefit of silicone spray foam is making your property more insulated from the outside elements. 4 – When giving a choice of silicone products to use by your contractor, compare them. There are lots of choices for a metal roof, but they aren’t all created equally. We never sit still and stay satisfied, always working to bring new options and products for our customers to choose from that will work for their unique situation with the highest quality and maximum adhesion during the project. 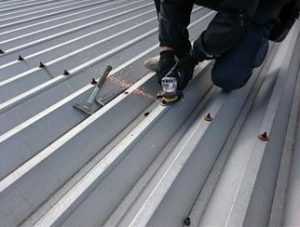 If you’re looking for the right contractor to ensure that your metal roof restoration project is being undertaken by someone with experience, integrity and the best, leading edge products to maximized your roof’s lifespan and ROI on the project, keep your expense as low as possible and minimize your impact on the environment, we’re your answer at Taurus Elite Commercial Roof Systems. Give us a call at 512-332-4422 to answer any questions you may have.